Dining with a view. Photos: Supplied. The picturesque rural setting of the property may only be 10 minutes from the city and a few blocks from the airport but it feels like an entirely different world. 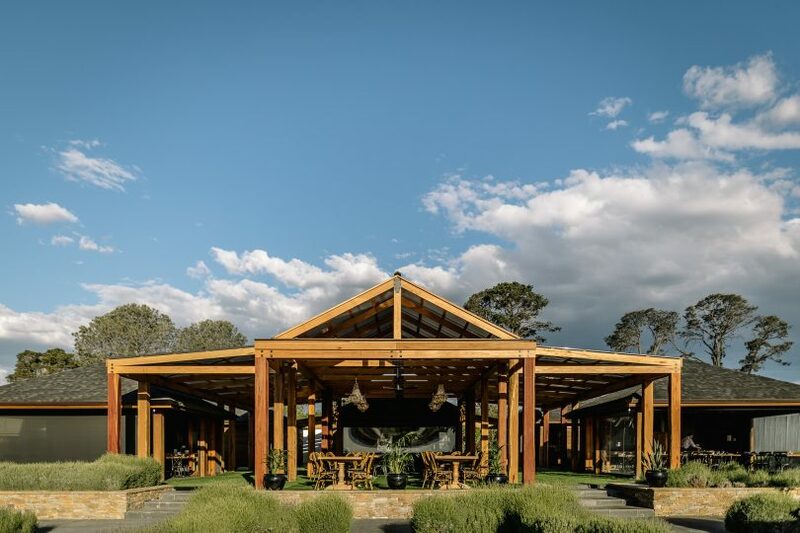 Upon driving in through the gates of Pialligo Estate and making your way to the beautiful entrance marked by the refined water fountain, all you can see is greenery, fruit trees and rolling hills in the distance. The stunning property has, since its opening, been a perfect backdrop for exquisite dining and memorable events. 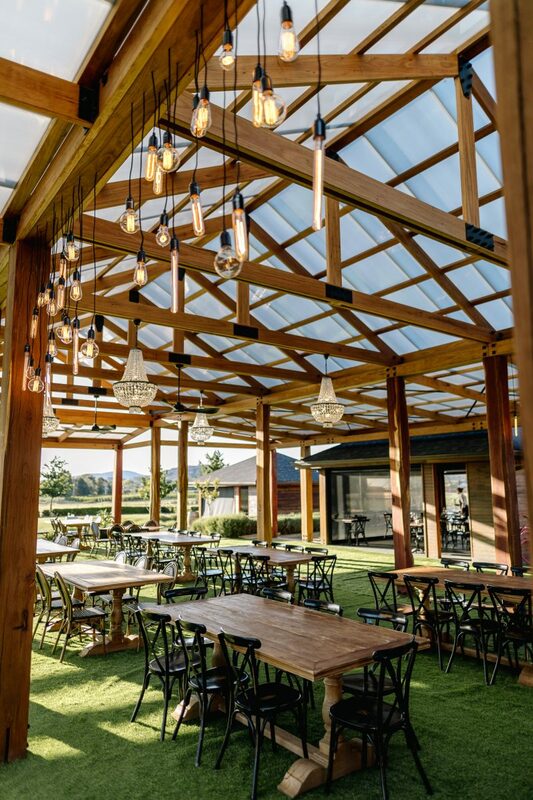 Overlooking Mt Majura, the vineyards, Paul Bangay-designed orchards, market garden and olive groves, it all makes for quite a view to accompany a meal at the refurbished Garden Pavilions. Each Pavilion is unique and special, with different configurations and views. With four Garden Pavilions dotted elegantly throughout the property, each Pavilion is unique and special, with different configurations and views. 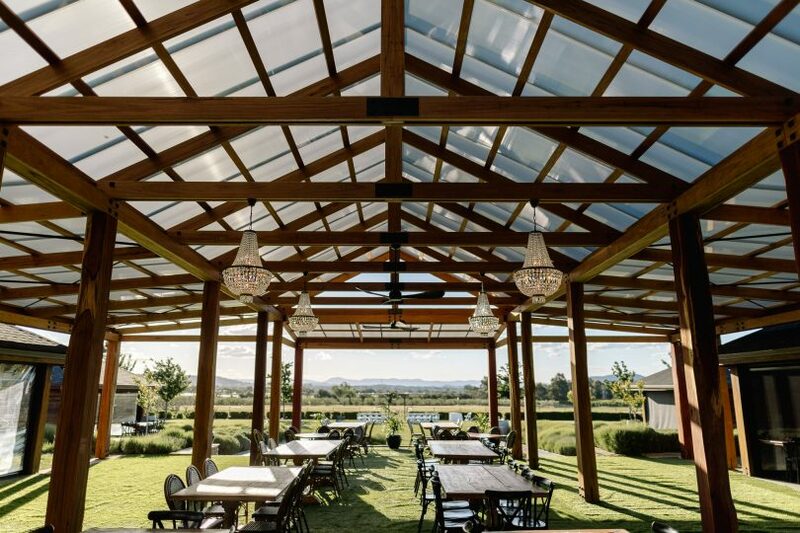 The key for the Pavilions was always versatility; they can each be opened right up to enjoy the spoils of a glorious Canberra day or can be closed off to the elements and used any time of the year as each one is perfectly climate controlled. Each one can host an intimate dinner for two, a meeting for up to 20 people or a grazing cocktail party for 300 incorporating the gardens and all four of the Garden Pavilions exclusively. Now with the refurbishment, they have even more flexibility, explains Ellen Storey, Events Administration Coordinator. There is also a new versatility with the menus, with all diners at the Garden Pavilions having a choice of either the traditional share menu they have become synonymous with or the newly launched Estate Menu. The new option offers a curated set menu – two courses (main and either entrée or dessert) for $40 or three courses for $50. No matter which menu option you pick, you are guaranteed it will feature seasonal local and Estate produce. Each one can host an intimate dinner for two, a meeting for up to 20 people or a grazing cocktail party for 300 incorporating the gardens and all four of the Garden Pavilions exclusively. Andrew Muscat if you're feeling the need to make it up to me, this would fit the bill nicely. The food is amazing. Looks amazing 🙌🏻 such a beautiful spot.